This is the unforgettable moment when the rock chicks of the Speed Angels (the world’s first trans-sexual pop group) took Spitalfields by storm, caught on film by photographer Hugo Glendinning who lived at 27 Fournier St when he took this picture. For nearly twenty-five years, Henry Barlow, the owner of this magnificent eighteenth century house, let it out to a lucky group of young actors and artists at rents they could afford, until it was sold this year. When Hugo arrived in 1989, he was just three years into his career but by the time he moved out in 2002, after more than a decade of ceaselessly inventive and stylish photography, he had achieved a reputation as one of the most distinguished and prolific photographers in the sphere of theatre and dance. All the photographs shown here were taken by Hugo using 27 Fournier St as his location. And the location fees for these shoots covered the electricity and gas bills for years – even though it is a large old house and expensive to heat. So in return for accepting the occasional invasion by trans-sexual rock chicks and other extravagant glamorous personalities, the residents of 27 Fournier St were able to remain warm all winter. Speaking as someone who collects broken pallets in the street to chop up for firewood, this sounds like a very good deal to me. Each of these superlative pictures were commissions for major publications, work that Hugo undertook in addition to his performing arts photography. When I met with Hugo in his studio last week, we thought it would be amusing to show you these photographs because collectively they tell a different story from their original intention. Many people have speculated about the stories that this sedate old house could tell but I do not think anyone ever imagined the scenarios pictured here. 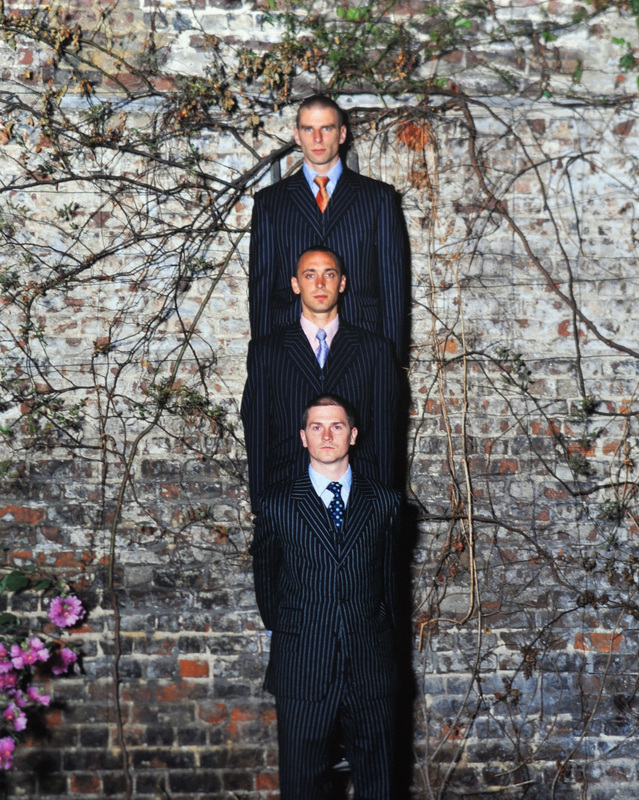 Even though these photo shoots were undertaken years apart, I cannot resist imagining them all happening simultaneously, as some kind of phantasmagoric party at 27 Fournier St. 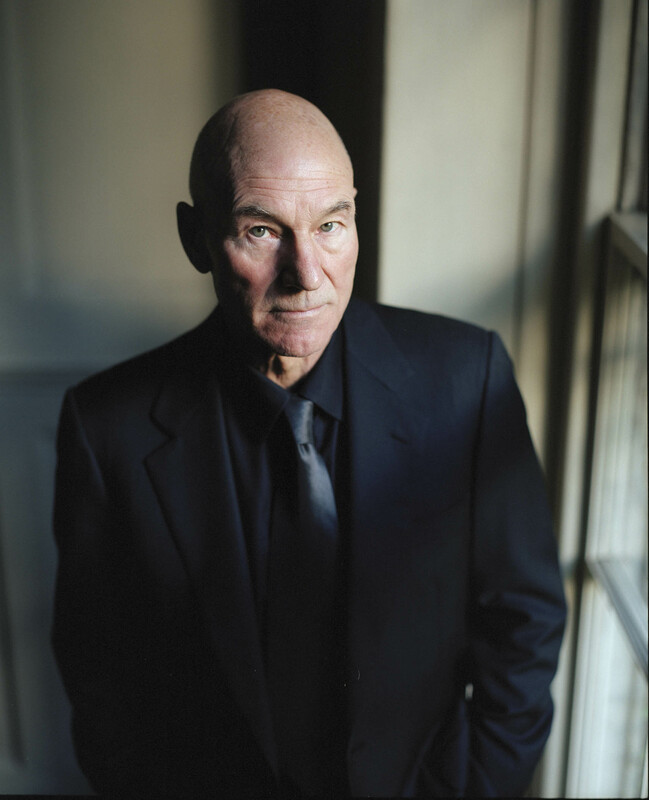 They propose a bizarre game of consequences in which the Speed Angels encounter Patrick Stewart, better known as Jean-Luc Picard, the Captain of the Star Ship Enterprise, in a time-warp in which Amelia Fox is dressed up for a costume drama (looking as if she might be one of the original residents from the early eighteenth century), while the high-flying Fuel Design team cavort in the back garden, and maverick dancer and choreographer Nigel Charnock takes a bath to promote AIDS awareness. Hugo’s innovative panoramic photography takes a step further in permitting the architecture of 27 Fournier St to become an integral part of the drama, metamorphosing into a theatrical landscape heaving with surreal possibilities. In fact, digital manipulation permitted Hugo to twist and reconfigure the house to become as labyrinthine as the Topkapi Palace. These panoramas present a compositional challenge to a photographer that is closer to narrative painting than to conventional photography. Although in Hugo’s case, he was placing figures within his own personal domestic space, which may account, in part, for the graceful accomplishment of these notable examples of the genre. You might like to click on each of the panoramas below to enlarge them so you can examine all the nooks and crannies of the old house in detail. The first panorama is an elegant group portrait of a whole generation of young women artists photographed in the ground floor living room at 27 Fournier St in 1997. You will recognise Tracey Emin, who is a neighbour in Fournier St, perched on top of the television set, but how many others can you identify? The next eight panoramas were the result of Hugo’s collaboration with Forced Entertainment Theatre Company, entitled “Frozen Palaces” and shot in the house over a single weekend as a very early Quick Time Virtual Reality project. Conceived by Forced Entertainment as “a landscape of interlocking dreams, these images allowed the viewer to explore, view or investigate – in an experience akin to wandering, or trying out versions of the truth and of making playful connections.” I am fascinated by these enigmatic melodramas, an unlikely combination of eighteenth century architecture and the technology of virtual reality, as a means to unlock the dream life of the old house. 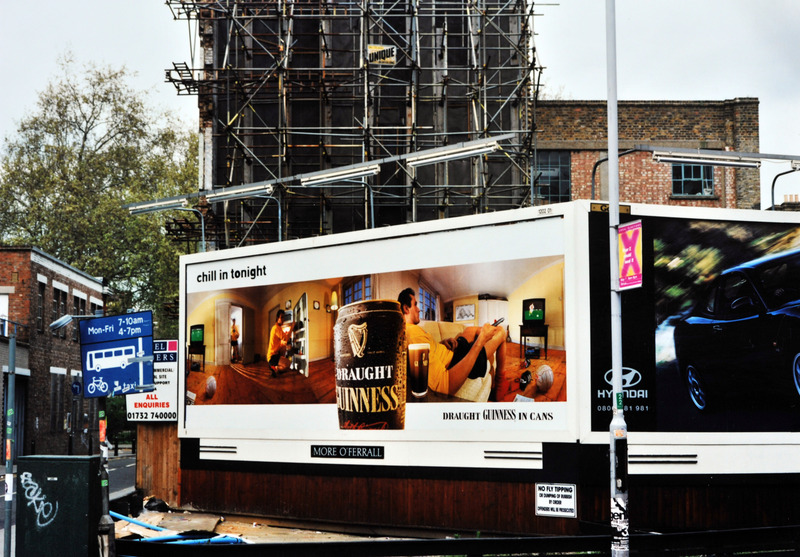 Finally, you can see one of Hugo’s witty “Chill in tonight” series of panoramic advertisements that he shot for Guinness. Once they were posted around the East End, Hugo ran out with his camera to photograph his own pictures on billboards and enjoy the secret irony of these private interiors visible in the public arena. The one pictured here shows Hugo’s living room in 27 Fournier St on display in Old St. Scattered across different publications at different times, no-one would ever have made the connection that unifies these diverse photographs but, seen together, this set of pictures illustrates just how inspiring a single charismatic architectural space can be, for a photographer with such an exceptionally fertile imagination as Hugo Glendinning. I am grateful to Hugo Glendinning for permitting me to use a detail of a photograph he took of the Market Cafe in Fournier St on the day it closed down, as the header for the month of March. In this picture, the passersby are reading the notice announcing the closure. I look forward to showing you more of the pictures Hugo took during his time in Spitalfields at a later date. What a showcase for a wonderful building. Who did purchase 27 Fournier St house? The Canadian lady, a daughter of publishing tycoon? Good grief; what a blast from the past. Went to a few parties at the house, shortly after Hugo moved in. Remember fairy lights all over the place and a not dissimilar excess of artists/architects etc! Gorgeous walled garden.